Welcome to the January 2, 2019 edition of ACM TechNews, providing timely information for IT professionals three times a week. U.S. regulators have approved Google's deployment of a radar-based motion sensor, granting it a waiver to use the device at higher power levels than currently permitted. The U.S. Federal Communications Commission (FCC) said the Project Soli device "will serve the public interest by providing for innovative device control features using touchless hand gesture technology." According to the FCC, the sensor captures motion in a three-dimensional space using a radar beam to facilitate touchless control of functions or features that can benefit users with mobility or speech impediments. Google said the sensor enables users to press an invisible button between the thumb and index fingers, or a virtual dial that turns by rubbing the thumb against the index finger. Said Google, "Even though these controls are virtual, the interactions feel physical and responsive" as feedback is produced by the haptic sensation of fingers touching. 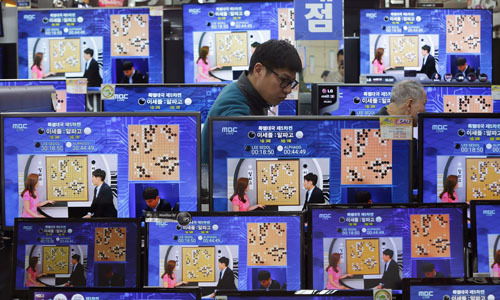 The success of DeepMind's chess-playing AlphaZero algorithm mirrors the evolution of machine learning and its ability to deduce rules via experiential learning. AlphaZero's ability to express insight also is unsettling, as it played gambits and took risks in matches against both human grandmasters and other champion game-playing programs. For example, in tournaments against the Stockfish algorithm, AlphaZero won consistently by thinking smarter instead of faster, analyzing only 60,000 positions a second versus Stockfish's 60 million. World chess champion Garry Kasparov said AlphaZero's superiority was rooted in a style of gameplay that "reflects the truth" about the game, rather than "the priorities and prejudices of programmers." Innate in this milestone is the potential for insightful algorithms to tackle more challenging problems that could benefit human knowledge and society; however, with this possibility comes the risk of such algorithms ultimately overtaking human insight. The European Union will cover the costs of bug bounty programs for 14 open source projects as part of the third edition of the Free and Open Source Software Audit (FOSSA) project. The 14 projects are 7-zip, Apache Kafka, Apache Tomcat, Digital Signature Services (DSS), Drupal, Filezilla, FLUX TL, the GNU C Library (glibc), KeePass, midPoint, Notepad++, PuTTY, the Symfony PHP framework, VLC Media Player, and WSO2. The highest budgets are being reserved for PuTTY and the Drupal CMS. Security researchers and security companies can seek out vulnerabilities in these open source projects and report them to the bug bounty programs, which could result in a monetary reward if the bug report is approved and results in a patch. Researchers at Tohoku University in Japan have developed 128 Mb-density spin-transfer torque magnetoresistive random-access memory (STT-MRAM) with a 14-nanosecond write speed for embedded memory applications. This is the world's fastest write speed for such applications with a density exceeding 100 Mb, which should clear a path for large-capacity STT-MRAM mass production. STT-MRAM supports high-speed operations with minuscule power consumption as it retains data even when power is off. The researchers expanded STT-MRAM memory density by developing STT-MRAMs in which magnetic tunnel junctions (MTJs) are combined with complementary metal-oxide semiconductors, lowering the power consumption of embedded memory such as cache and eFlash memory. To reduce the memory size for higher-density STT-MRAM, the MTJs were formed directly on the chip via openings that allowed a conductive connection between the different layers of a semiconductor device. The Ohio Department of Transportation, in collaboration with Honda, is planning a connected vehicle project in the city of Marysville, to equip more than 24 traffic signals and about 1,200 vehicles with technologies to better monitor and manage traffic flow, and communicate with drivers about real-time traffic events. This initiative will join a similar project in Columbus for linking up to 1,800 private and public vehicles and upgrading about 113 signalized intersections with technology to better manage traffic and improve safety. 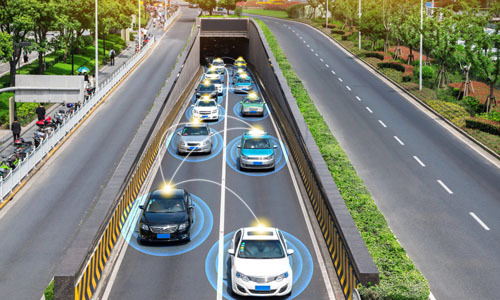 That project, called the Connected Vehicle Environment, is slated to go live in July 2020, as is part of a series of smart city and smart transportation projects operated under the Smart Columbus auspices. These efforts are driven by the development of transportation tech by both carmakers and transportation agencies. Said DriveOhio's Jim Barna, "All the states are looking at this in some sort of fashion... there are so many advancements being made by automotive companies." Researchers at Inner Mongolia University in China have developed and launched a Mongolian speech synthesis system that allows machines to speak the language as naturally as humans in Hohhot, capital of the Inner Mongolia Autonomous Region. Inner Mongolia University's Fei Long said the "Aoyun" system employs advanced deep learning technology and a cloud service framework in text correction and special character conversion, and the resulting voice is as natural and fluent as an actual person. Cloud service interfaces also are provided to software developers, who can embed the Aoyun system within their applications in disciplines such as education, meteorology, and transportation. An international team of researchers led by the RIKEN Center for Emergent Matter Science in Japan has built a hybrid device from two different types of quantum bits (qubits) to facilitate rapid initialization and readout, while simultaneously supporting high control fidelity. The team utilized a single-spin Loss-DiVincenzo qubit, which is in a clear state optimizing it for calculations, and remains in a given state for a relatively long time before losing its signal to the environment. The researchers combined this with a controlled-phase quantum gate, which allows spin states to be entangled between the qubits sufficiently fast to maintain coherence, enabling readout of the state of the single-spin qubit through fast singlet-triplet qubit measurement. Said RIKEN's Akito Noiri, "With this study we have demonstrated that different types of quantum dots can be combined on a single device to overcome their respective limitations. This offers important insights that can contribute to the scalability of quantum computers." Students at eleven schools in the Chinese province of Guizhou are wearing "smart uniforms" incorporating computer chips to ensure they are attending classes and behaving properly. 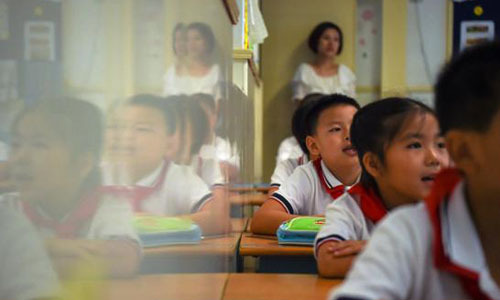 The uniforms, developed by the local company Guizhou Guanyu Technology, are outfitted with global positioning system devices to track the wearer's location, as well as equipment that triggers alarms if a student leaves the building or dozes off in class. The chips also let parents monitor what items their children purchase at school and set spending limits via a mobile app. Facial-recognition scanners on school doors match the chips with the correct student so wearers cannot swap uniforms. The chips are embedded within the shoulders of the uniforms, and designed to withstand up to 500 washes and temperatures of 300 degrees Fahrenheit. Researchers at the Cancer Research U.K. Cambridge Institute (CRUK) have constructed a three-dimensional virtual reality (VR) model of tumor samples, with each individual cell mapped. Said CRUK's Greg Hannon, "No one has examined the geography of a tumor in this level of detail before; it is a new way of looking at cancer." The researchers began with a 1-mm cubed piece of biopsied breast cancer tissue containing about 100,000 cells and segmented into wafers, scanned, and stained. The tumor can be analyzed in a VR laboratory; the system enables multiple users from anywhere in the world to examine the tumor. CRUK's Karen Vousden said, "Understanding how cancer cells interact with each other and with healthy tissue is critical if we are going to develop new therapies—looking at tumors using this new system is so much more dynamic than the static [two-dimensional] versions we are used to." New Jersey Institute of Technology (NJIT) researchers have created an augmented reality (AR) system to run experiments on the glass knifefish to gain insight into its autonomous sensing functions. Said NJIT's Eric Fortune, "This is perhaps the first study where augmented reality has been used to probe, in real time, this fundamental process of movement-based active sensing, which nearly all animals use to perceive the environment around them." The AR model simulated the motion of a refuge waving in the water, synched to the fish's eye movement; the researchers learned the fish could tell this experience was virtual. 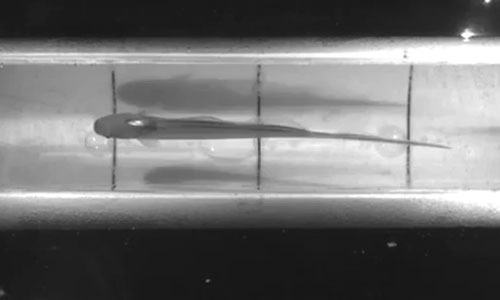 Fortune said, "This experiment demonstrates that the phenomenon that we are observing is due to feedback the fish receives from its own movement. Essentially, the animal seems to know that it is controlling the sensory world around it." A team of Duke University researchers won the 2018 PoetiX Literary Creative Turing Test contest for an algorithm that composed the most "human-like" sonnets. The team's program was tasked to select the rhyming end-words for a 14-line sonnet before filling in the rest of the syllables by writing backward, and the team added more rhythmic automated punctuation positioning and fundamental rules that prevent certain part-of-speech errors. The team explained, "We collected many [part-of-speech] sequences that could not occur, then used this knowledge to ensure that word sequences did not violate these basic rules." The team also employed machine learning to teach the algorithm poetry as it was fed a collection of sonnet-like texts. Said Duke's Cynthia Rudin, "There's a lot of synergy between the aspects of the poetry that humans can generate and the other aspects that the computer can generate." The Airnoise button, developed by Southern California software engineer Chris McCann, allows people to file noise complaints with aviation officials by clicking the button every time a plane flies over their homes. McCann developed a software program and repurposed the Dash Button that Amazon customers use to place orders to enable individuals to instantly file detailed complaints directly with the agency in charge. When the button is clicked, publicly available data sources are used to determine which aircraft is closest to a person's home, and information about the flight is sent to the local airport authority. So far, McCann has distributed more than 700 Airnoise buttons, which cost $24 each; as of mid-December, users had filed close to 1.1 million noise complaints at 29 airports nationwide. The International Gymnastics Federation (FIG) has agreed to incorporate lidar-based technology from Japan’s Fujitsu into future gymnastics competitions to help judges evaluate performances, with fully automated scoring planned for 2020. 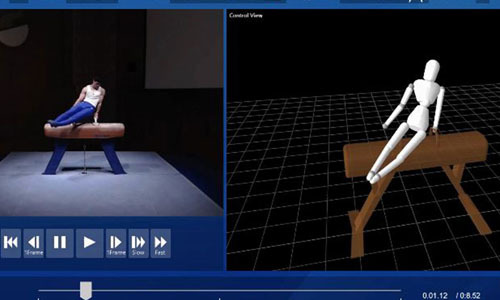 Fujitsu's system is designed to track the angles of athletes' joints during competitions, with lidar deployed on the sidelines bouncing light off gymnasts and measuring the reflection to construct three-dimensional images showing body contours. Fujitsu's artificial intelligence-based "skeleton recognition technology" then uses those images to determine the angles of various joints. This data can be delivered to judges immediately after each exercise, to help determine the gymnast’s final score; the system's target error is less than approximately 1 centimeter. FIG said it would pilot the system at an upcoming World Cup event and launch it during the 2019 World Championships.